When bad breath causes you to shy away from being social, the compassionate team at The Diablo Dental Group in Danville, California, has solutions. The experienced dentists accurately diagnose the cause of your halitosis and offer treatment options to give you long-term results. Whether you have dry mouth or issues with your gums, you can get impactful help for chronic bad breath. Learn more about treatment options for bad breath by calling the office today or by booking an appointment conveniently online. It’s easy to get bad breath from strong-smelling foods like onions and garlic, but if you have chronic bad breath, it may be due to underlying health issues. If you’re a smoker, you may also develop chronic bad breath, stained teeth, and increased risk for gum disease. How is bad breath diagnosed? The Diablo Dental Group dentists perform a thorough evaluation of your oral health to determine the cause of chronic bad breath. They also discuss your diet and lifestyle habits. After a visual exam of your teeth, gums, and tongue, your The Diablo Dental Group provider creates a treatment plan to address the root cause of your bad breath. What treatments are available for bad breath? The team at The Diablo Dental Group offers several services to combat bad breath. Initially, your provider may recommend brushing and flossing after every meal to effectively eliminate bad-smelling bacteria. They may also recommend special toothpaste and mouthwashes to address bad breath and other oral health conditions like dry mouth. You also should schedule professional cleanings every six months to keep your smile healthy. If you wear removable dentures, it’s important that you clean them correctly every night to remove bacteria. If gum disease is the root cause of your chronic bad breath, the dental team creates a plan to stop the progression of the disease and protect your oral health. They offer both nonsurgical and surgical treatments based on the severity of your condition. In addition to a thorough cleaning of your teeth, the dental team may perform a root planing procedure. This helps reduce the buildup of bacteria and tartar by smoothing the surfaces of your teeth. Whatever the cause of your bad breath, The Diablo Dental Group team works with you every step of the way to boost your overall dental health and ensure great oral health. Don’t let bad breath impact your self-confidence. 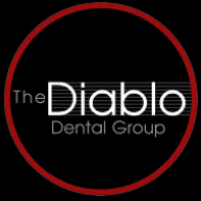 Call The Diablo Dental Group for an evaluation today or book an appointment online to get custom solutions for treating bad breath.